Ashley is a Partner at the Firm, where he concentrates his practice in the Media and Internet matters, Manufacturing and Food & Beverage sectors as well as Construction and Real Estate contracting and litigation. Ashley serves as outside general counsel to a number of media and advertising companies, manufacturers, and food and beverage companies. In this role, he advises them regarding risk assessment and their supply chain negotiations and contracting concerns, he drafts commercial contracts and licensing and software agreements and helps them with their issues in advertising, information technology and data privacy as well as regularly represents them in communications and litigation with regulatory bodies and counsels them through litigation matters. This experience has given him keen insight and know-how in helping his clients grow their businesses and achieve their goals. Ashley enjoys a challenge and appreciates that his clients look to him for creative problem-solving. In the realm of Media and Data Privacy, Ashley works with commercial lenders, manufacturers and advertising and technology companies on licensing and software issues as well as matters involving information law, privacy concerns, information security, consumer protection, trade secrets, records retention and e-commerce. At the forefront of developments in information management and social media Ashley’s practice involves trouble-shooting for a host of companies that use developing technologies to connect with the public and consumers. In the field of Food and Beverage law, Ashley counsels a host of industry players from breweries and distilleries to growers and other manufacturers. He has represented and advised clients regarding issues of contract negotiations, regulatory compliance, and advertising and licensing in state and federal courts and in their dealings with the U.S. Department of Agriculture, the Food and Drug Administration, Alcohol Tax and Trade Bureau, the Federal Trade Commission, and state and local agencies and commissions. In supply-chain related contracting negotiations and litigation Ashley frequently deals with complex commercial transactions and the litigation of UCC matters. As an author and speaker Ashley has dedicated a significant amount of time and effort and is passionate about the alcoholic beverages industry where he regularly contributes to publications and runs the Libation Law Blog – a blog dedicated to legal issues in the food and beverage sector. In the alcohol sector, he has helped clients in every aspect of their business from entity formation to state and federal licensure and permitting, negotiating agreements with wholesalers and distributors, branding, trademark and trade secret information, legal compliance, alt-prop and contract brewing agreements, financing and equipment lease and purchasing. Ashley also represents food and beverage importers helping them with import-export issues and international sourcing, licensing and food import compliance agreements. He is a member of the Illinois Grape Growers & Vintners Association; the Brewer’s Association; the Illinois Craft Brewers Guild; the American Bar Association and has previously served on the governing committee of the Illinois State Bar Association’s Agricultural Committee. In Construction and Real Estate law, Ashley focuses primarily on contract negotiation, construction and payment litigation, and lien and bond rights. He has handled matters in federal and state courts regarding contractor claims for payment under mechanic’s lien statutes, defect claims, and Miller and mini-Miller Act claims. He represents contractors, subs, developers and design professionals in a wide array of contracting matters from negotiation and dispute resolution to bidding and procurement issues and land purchase transactions and litigation. For national and state based lending institutions, and other secured creditors, Ashley has handled foreclosure and other commercial collection matters both pre and post judgment as well as repossession and UCC based claims work. 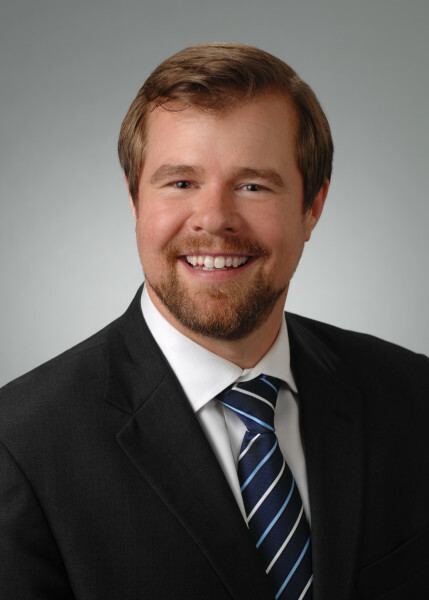 He has experience drafting and litigating issues related to foreclosure and financial documentation and has an active interest in developing and the burgeoning area of the law related to e-commerce and fintech issues. Prior to joining Goldstein and McClintock, LLLP, Ashley was a partner at Freeborn & Peters, LLP and also practiced at Clark Hill PLC in the areas of in Trademark, Food & Beverage, Internet & Media, Litigation and Construction. Successfully defended automatic teller machine operator in Electronic Funds Transfer act lawsuits resulting in summary judgment in favor of operator. Represented tech and beverage start-ups through entity formation and multiple capital raises. Represented multiple general contractors and subcontractors in mechanic’s lien claims on both public and private projects from lien preparation through lien prosecution. Pursued claims by media companies under Freedom of Information Act against federal and state government for media companies and contractors requesting details regarding contracts and procurement. Panelist, "Craft Brewers - Risk Management Series," Arthur J. Gallagher & Co. Webinar (July 2013). Presenter, "Reviewing Contracts for Design Services," Legal Issues for Illinois Structural Engineers Seminar (November 2012). Panelist, "The Future of Food Safety" panel discussion, Mettler Toledo Food Safety Exchange (June 2012).